Tokyo, Japan - September 30, 2018: Many people cross the Shibuya junction on a rainy day. 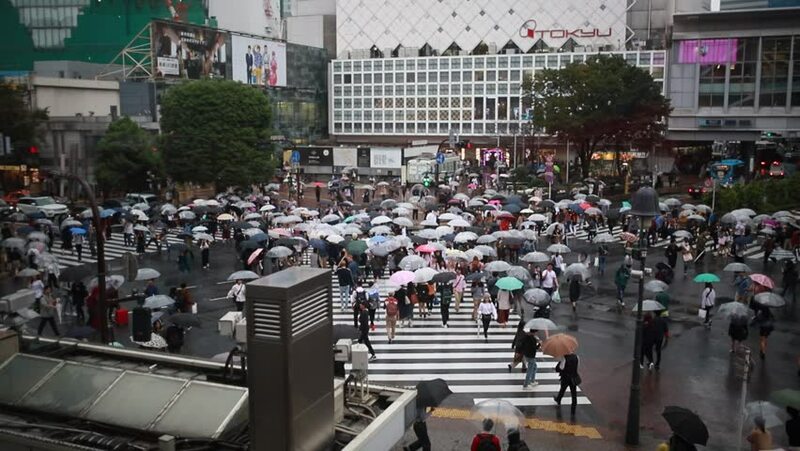 hd00:10Tokyo, Japan - September 30, 2018: Many people are waiting to cross the Shibuya junction on a rainy day. hd00:31TOKYO - JULY 01st: Shibuya's main road crossing in Tokyo on July 1st, 2011. Shibuya is one of the busiest shopping streets in Tokyo. hd00:15Hong Kong - November 2007: Crowds of people and busy traffic on a street in Hong Kong Central business district, China. hd01:01RIGA/LATVIA – 9 JULY, 2017: Drummers Summit. Public outdoor common performance of participants of the 3rd Baltic Drummers Summit.